One of the most basic use of a smartphone or tablet is to click photos and selfies and if you click a lot of photos then you will notice that you are running out of storage space on your device. So you can either delete your photos or convert those photos to short videos using Flipagram application. The app is becoming popular and you might even have it installed on your device so you just need to update it but if you don’t have the application installed then you can download Flipagram 4.2 APK file and install it on your smartphone or tablet. With Flipagram app installed, you will be able to convert your photos from your mobile device or the photos from your Facebook or Instagram account and convert them to short videos. This will allow you to save the storage on your device because when you add more photos to the video, you can get rid of them. 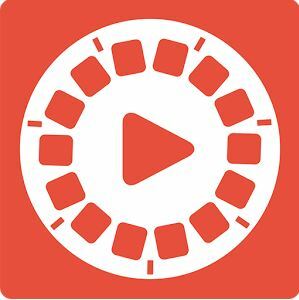 So you can download the application from Google Play Store right now or simply download the latest Flipagram 4.2 APK for Android and start creating short videos with music and text. The application has become very popular in the past few days and has been downloaded on more than 100 million devices. 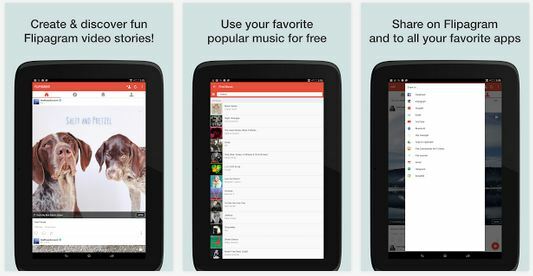 So you can also download Flipagram for Android after you check out all the latest features of the app. Download for Free: The application is absolutely free to download and install on your smartphone but there are some premium features that can be unlocked from within the app by paying for it. Create: You can select the photos from your Facebook or Instagram account or from the photos sitting on your storage device and create a short video using them. Edit and Share: You can edit your videos by setting the timing of the frames, adding your favorite music, applying cool filters or writing text to describe the photo and tell a story. Share: You can share your videos on the Flipagram community or you can share it on other social networks like Instagram, Facebook, Twitter or chat applications like WhatsApp Messenger. Reflip public Flipagrams to collect more likes. An option to make your profile private has been added. You can remove unwanted followers. If you wish to download the application then you can do so by going to Google Play Store and installing it directly or you can download the Flipagram APK file using the download button below. Once you have successfully downloaded the application, you can copy the APK file of the app to your smartphone and then install it like you install any other application. I hope that you liked the post about the latest version of Flipagram 4.2 APK for Android and if you did then do share the article with your friends by hitting the Like, Tweet and +1 button!